I thought I had been to Ramsden Park already. Some late summer day last year I had wandered the few minutes up from Bloor and Yonge, grabbed a coffee at the Black Camel across from Rosedale Station and sat on a bench to read for a bit. What a nice little park, I thought. Then I packed up and left. When my coworker suggested I check it out as the park to visit in Ward 27, I told her: Oh, I’ve already been there. But a quick map check made me realize I had barely scratched the surface. 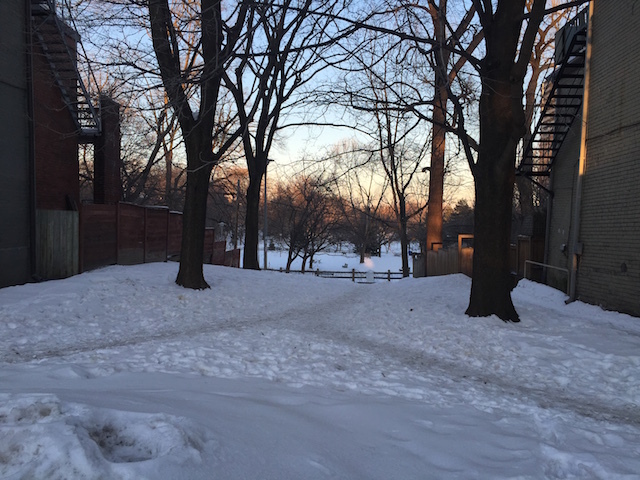 So on a still wintry day two weeks ago, I walked over to the park from the Annex, where I live. 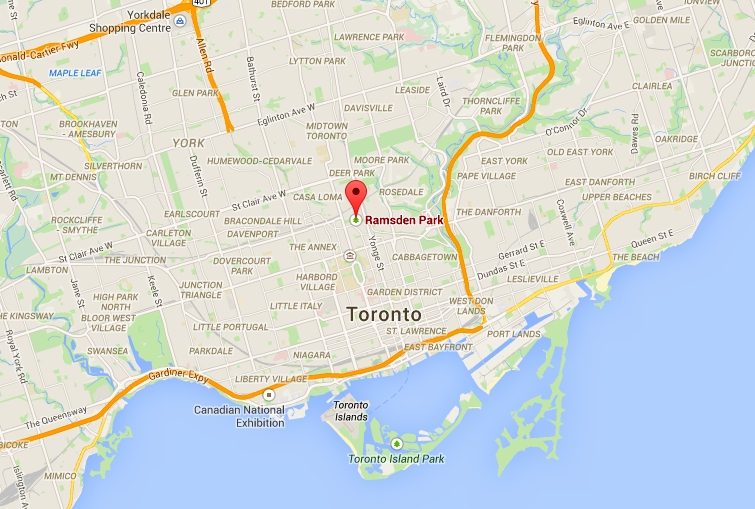 It’s possible Ramsden Park is the biggest, little park in Toronto. It’s long–stretching from Avenue Road to Yonge Street–and, at 13.7 acres, one of the largest in downtown. But the way it meanders through its neighbourhood, and the way its interior is spliced up into different sections at different levels for things like skating, dogs, and tennis, makes the park feel smaller and more intimate than its size on a map would suggest. You can’t ever get a sense of the park’s size no matter where you stand inside it–there’s always a slope, or a twist, or a building, which makes the park feel both big and small at the same time. It’s also a very interior park. The only real street edge is the part that touches Yonge Street. The rest of the park is set deep inside the neighbourhood, but this also leads to one of the most compelling and unique features of Ramsden Park: the small tendrils that it sends out, like some big green beast reaching up for air between the houses that enclose it. In fact, on this second trip I entered the park through one of these tendrils off Avenue Road. I had to double check Google Maps to make sure this was the right spot and not just a vacant lot. There is nothing there that would suggest to you that it was an entrance to a park. No sign, no real pathway. Nothing. The revitalization also proposes to use the street edge along Yonge to create more of a welcome into the park with a little plaza and more social gathering spaces. I think this is a great idea, and have written about the importance of paying attention to park edges before on this blog. 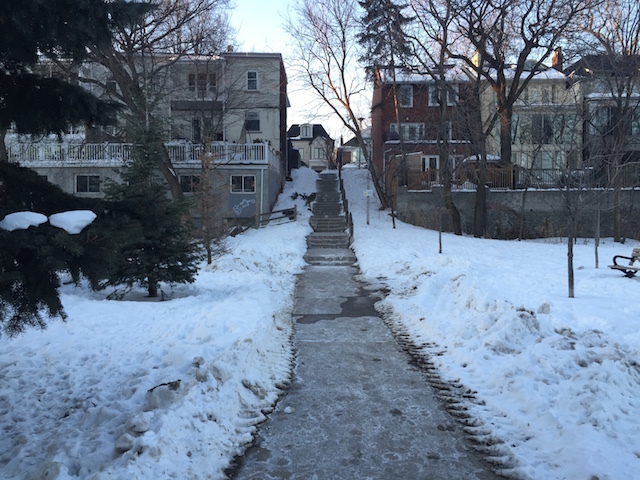 We don’t focus enough in Toronto on how our parks hit the street. People go to parks to sit on grass and get away from the city, sure, but they also go to parks to observe and be a part of the city. Plazas and seating at park edges are needed for these prime people-watching spots and can help create a nice transition from the street to the interior of a park, acting as a buffer from traffic. 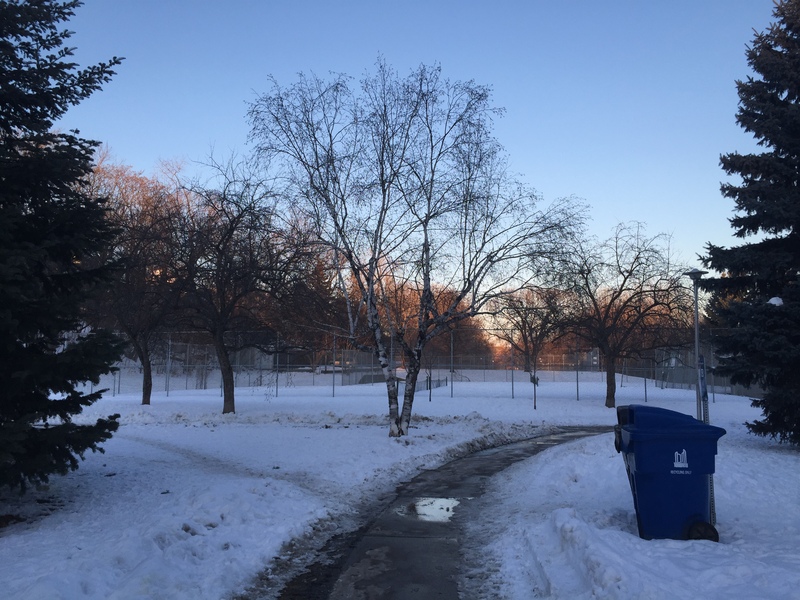 The other thing I learned from the discussion paper is that Ramsden Park is one of Toronto’s oldest parks, created in 1904. 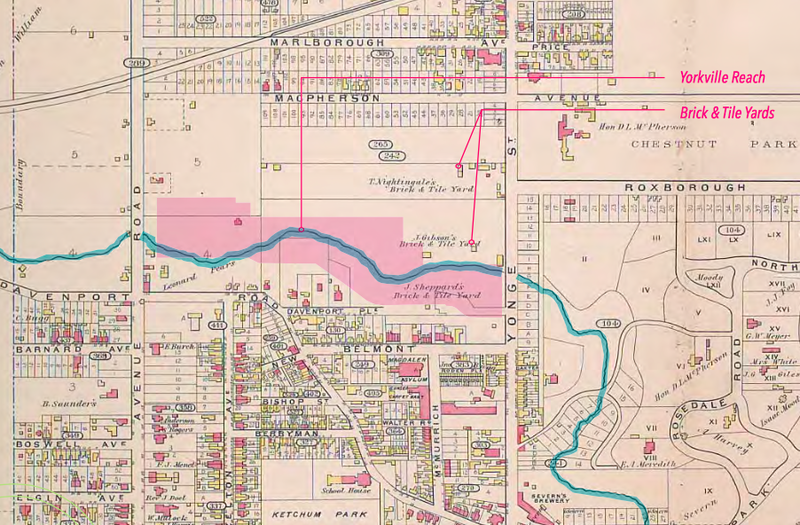 There’s a nice little history about how a creek, the Yorkville Reach, used to flow through the park and link up to the Don. (Is there anywhere in Toronto that didn’t used to be an old creek?) The park was also the site of a brickyard in the mid to late 19th century, which supplied bricks for, among other buildings, University College. So Ramsden Park was a nice surprise and a lesson for me not to judge a park by its cover. I’m excited to see the fruits of the park’s redesign, but I do hope that the park keeps the overall sense of being both big and little at the same time. It’s pretty special.